Appeal Home Shading’s award-winning ULTRA® powered blinds’ system is now available with ULTRA® PLUS for your smartphone or tablet. So shading management is not only at your fingertips when you’re home, but when you’re out and about – including abroad. • Increase security – manage your home shading – even if you’re away. • Come home to the perfect ambience. • Track sunrise and sunset with timer mode. 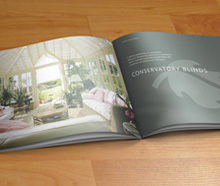 • Programme a customised operation throughout the home. Now also compatible with Amazon Alexa and Google Home – use simple voice commands to control your Ultra Smart Blinds. Add ULTRA®’s smart plugs and Philips Hue lighting to your ULTRA® PLUS installation to provide complete ambience management – with shading, lighting and appliances under your control from wherever you are. 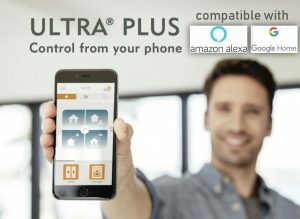 How ULTRA PLUS works: The Connexoon hub is a sleek, low-profile control unit that connects to your Wi-Fi router. Then simply download the iOS or Android app from the App Store or Google Play Store, and pair with your blinds. 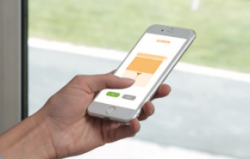 Within moments, you have total and effortless control over your blinds from your smartphone or tablet – wherever in the world you are. 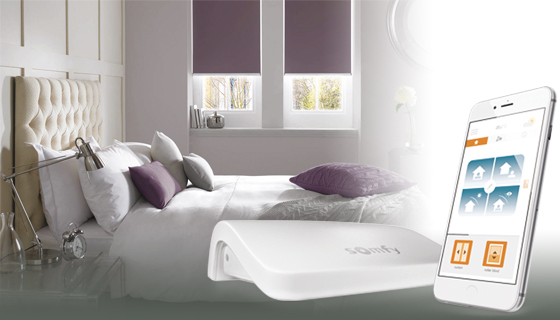 Customers who already own ULTRA® Smart Blinds can be upgraded swiftly and easily. Appeal’s experienced fitters will install the ULTRA® PLUS Connexoon hub and help you set up the app. The ULTRA® PLUS Connexoon app is easy to use, with intuitive symbol-based navigation, simple programming and touch-screen operation. Instant control, or pre-set scenarios, with no hassle or frustrating struggles with technology. A simple command will close or open all or any combination of the blinds in your home – whether you’re at home or not. With ULTRA® PLUS, your ULTRA® Smart Blinds can be set to raise in the morning and lower at night automatically. They can even be programmed to track the changing sunset and sunrise times, allowing you to wake up to natural light and to close the blinds at nightfall. ULTRA® PLUS can be programmed with pre-set scenarios to suit different circumstances of your day-to-day life. Combine ULTRA® PLUS with Philips Hue lighting and ULTRA®’s smart plugs to add lighting combinations to every scenario. 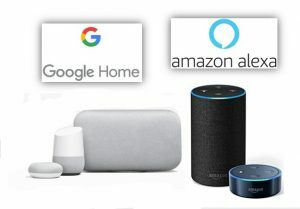 Using Amazon Alexa or Google Home allows you to trigger the perfect ambience with a simple voice command – for example, “Ok Google, cinema time” to dim the lights and lower your Ultra Smart Blinds.